Install your HTML email signature in no time! Use our signature installer or follow our step-by-step guides to install your email signature in Roundcube Webmail. 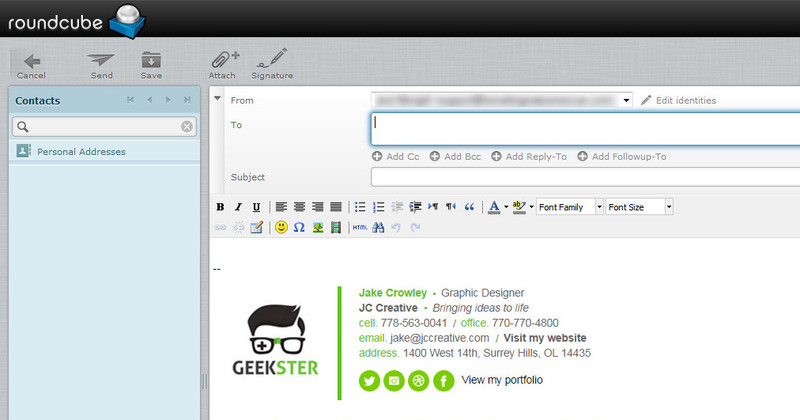 It's never been easier to create a new email signature for Roundcube Webmail. Check out our beautiful email signature templates and easy to manage email signature software, that makes creating email signatures for Roundcube Webmail a breeze. To be logged in to your Roundcube Webmail account. 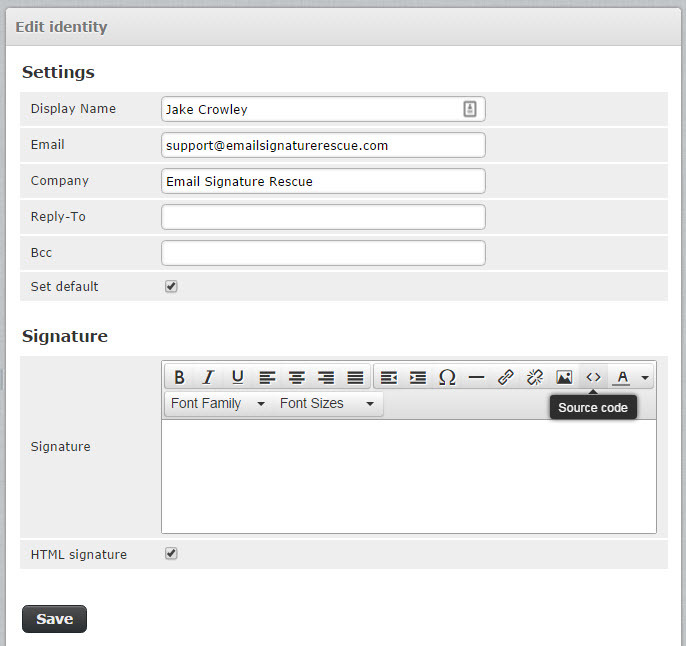 Log in to your Email Signature Rescue account and select Grab Code next to your email signature. If you don't have an Email Signature Rescue account and your file has been provided to you, then open your email signature file in Notepad if running Windows, or TextEdit if running Mac OS. Now that your email signature is open in Notepad or TextEdit, press Ctrl + A or Cmd + A to highlight the signature, then press Ctrl + C or Cmd + C to copy the signature. Login to your Roundcube Webmail account and select Settings from the top right corner of your screen. Select Identities on the left side beneath the Settings menu, then click the + icon at the bottom of the Identities window to create a new identity. Firstly, fill out your account details in the top half of the page. You then want to tick the checkbox at the bottom that says HTML signature, this will enable the above text field to allow HTML input and formatting. Once ticked, select the button with the < > icon. 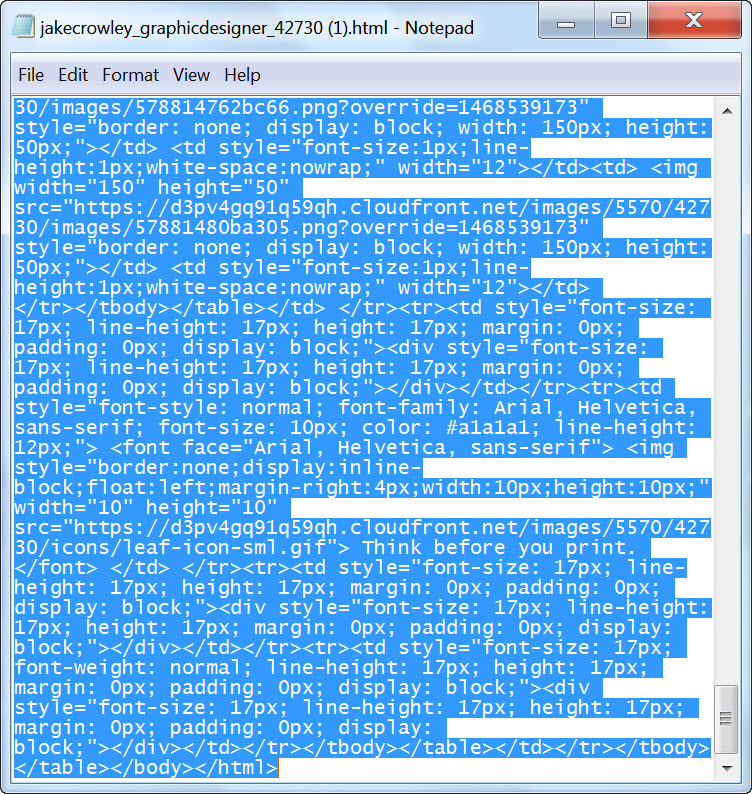 In the Source Code box, press Ctrl + V or Cmd + Vto paste your copied HTML email signature code. Click OK once pasted. Once you’ve closed out of the source code window, you should see your email signature displaying in the Signature field. Press Save below. From the Settings menu on the left side, select Preferences, then Displaying Messages. 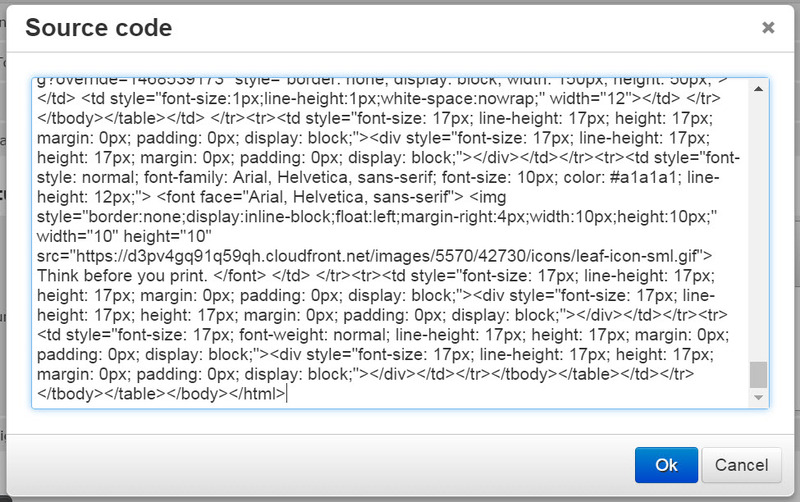 Under the Main Options settings, enable Display HTML by ticking the checkbox. Save your changes below. Now select Composing Messages from the left section. 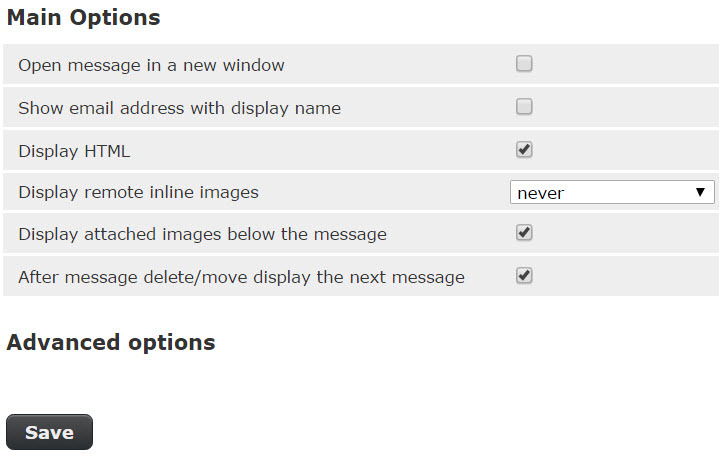 You will see a setting which says Compose HTML messages, change this to always. Scroll down to Signature Options and ensure Automatically add signature is set to always. Go back to your Mail and compose a new email. You will see your email signature is automatically inserted at the bottom of your email. If you have tried our Step-by-Step Instructions for installing your email signature in Roundcube Webmail and you run into any issues, please read through this troubleshooting guide before contacting Support for further help. More than likely, you have used your mouse to highlight the code and have missed some of it. Don't use your mouse, only use Ctrl + A or Cmd + A (hold the Ctrl button and press A at the same time) to select all of your email signature. If you use your mouse, you may miss out on some of the vital code needed to make your signature work correctly. Find more answers to Roundcube Webmail signature installation questions here.